HP today announced a partnership with retail chain Kmart which would see the printer manufacturer roll out its Retail Publishing Solutions across 184 stores nationwide. The roll-out is expected to be completed over the course of a few months. 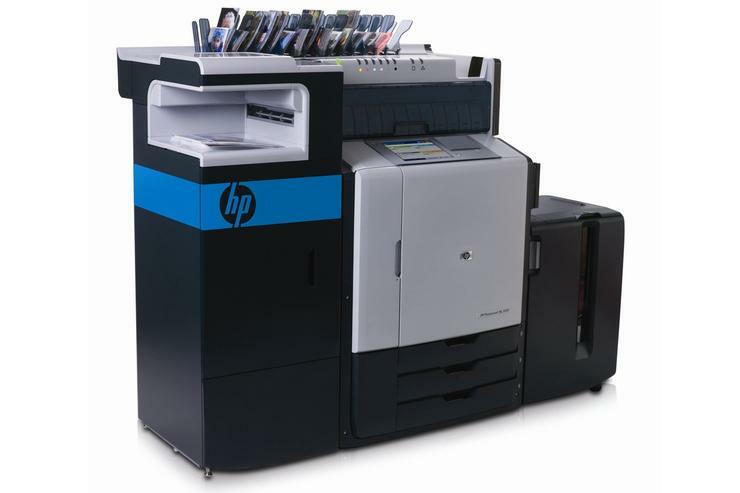 The technologies announced today form HP's Photo Centre 4.0: a set of technologies and products unveiled by the printer manufacturer at Photo Marketing Association International Convention and Trade Show (PMA) 2009. The solution includes in-store photo printing kiosks as well as an online photo printing solutions powered by "Snapfish by HP". The in-store roll-out centres around touch-screen kiosks which will allow consumers input their desired photos and order prints in a number of formats including standard 4x6in photos, bound photo books, DVD slideshows and calendars. Consumers will be able to upload photos from USB flash drives, popular memory card formats and from their mobile phone via Bluetooth. Once ordered, the photos will be available for pick-up from the same store in an hour. As part of the in-store photo printing solution, HP will roll out its Photosmart ML1000 Minilab printer — also announced at PMA 2009 — into the nominated Kmart stores. Unlike the silver halide lab printers currently used by the store, HP's dry mini-lab printer uses pigment-based inks which offer 200-year fade resistance and can print up to 1500 4x6in photos per hour. The printer will enable Kmart to offer up to 16 different media sizes, ranging from 4x6in media to 12x18in photos, as well as panoramas. Kmart will also revamp its Online Photo Centre Web site in line with HP's Image Store, the online component of Photo Centre 4.0. The Web site will be powered by Snapfish by HP, and will allow consumers to order the same types of photos for home delivery. In a press release today, HP also highlighted the environmental and management benefits of its Photo Centre 4.0 photo printing solution. The use of pigment-based inks instead of the traditional silver halide printing method reduces the lab printer's environmental impact. The consumables will also be easily recyclable through HP's local Planet Partners program. Kmart ended its 30-year retail photo printing partnership with Kodak Australia in July, claiming an amicable split that made sense to both parties. Kodak photo printing facilities are still available in other retail locations, including Officeworks which, like Kmart, is owned by Wesfarmers Australia. Kodak Australia and New Zealand's general manager for commercial and consumer division, Grant Smith, stated in the July announcement that the transition period would last until sometime in 2010. However, today's announcement suggests that HP will roll out its own photo printing solutions over the course of the next three months.